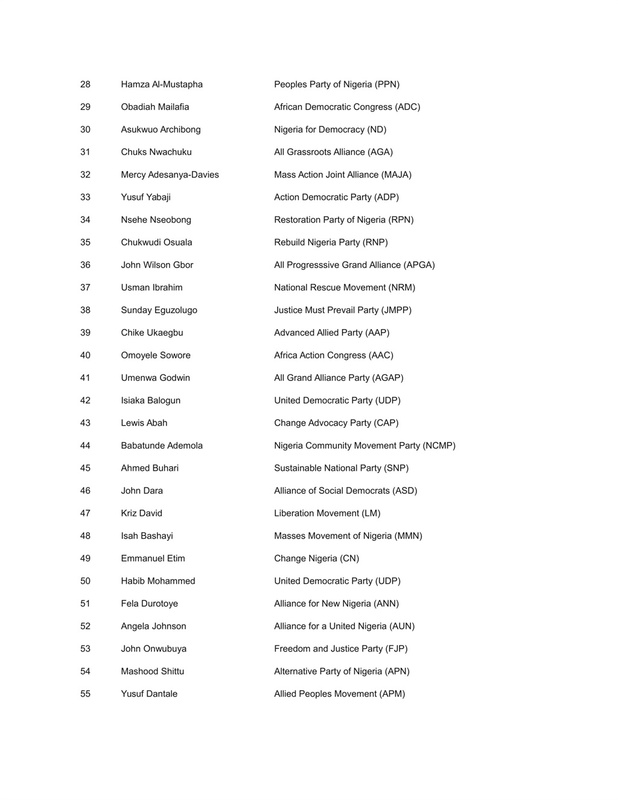 The Independent National Electoral Commission (INEC) on Friday released the list of candidates for the 2019 presidential election. 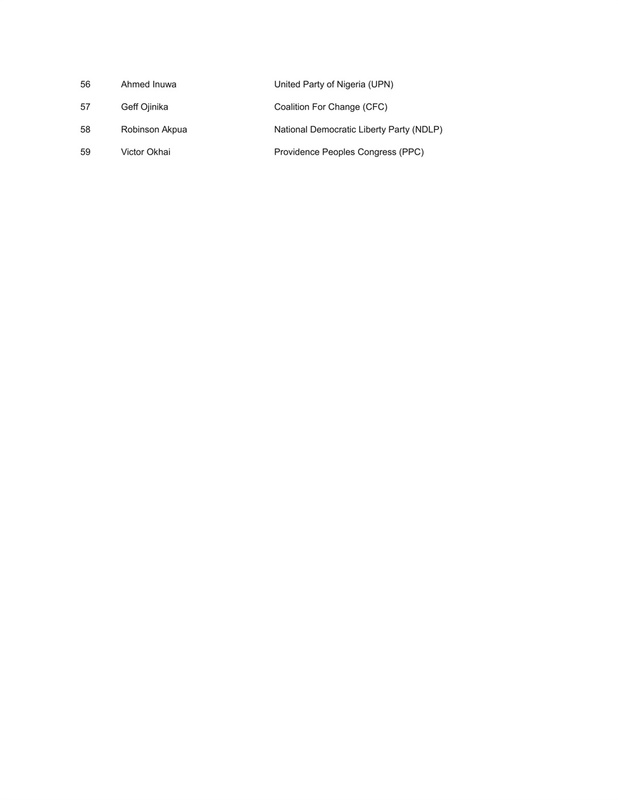 According to the list, a total of 79 candidates will be contesting the election. 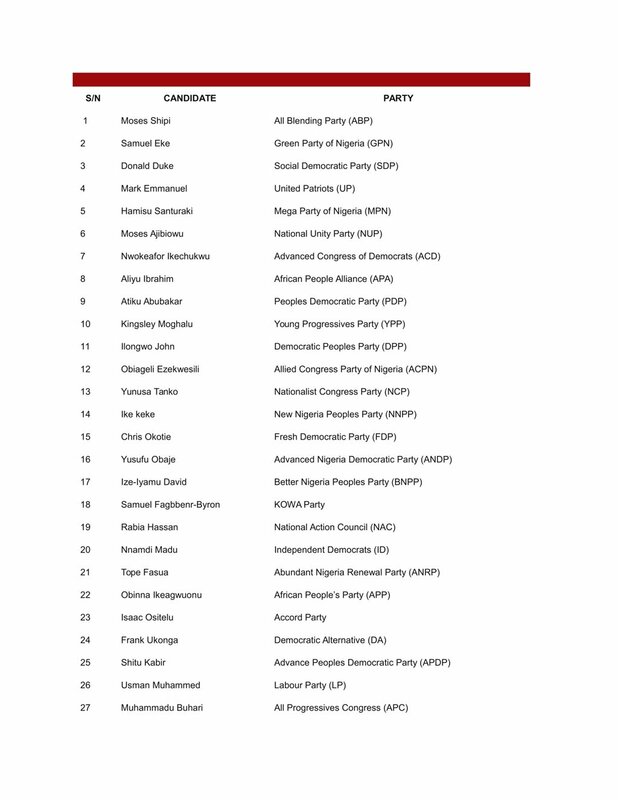 The list, which was pasted at the commission’s national headquarters in Abuja also showed the particulars of the candidates. A close look at the documents, however, showed that there are 69 candidates whose documents have so far been published.